SEO is an important feature for any business to consider when creating their digital identity but it plays an even more crucial role for smaller businesses that are just starting out. SEO can play a major role in how local companies can get an advantage over their rivals on the web and guarantee success in their target market. But how can a small company use SEO to their advantage? The most reliable source business will come from the area from where you are based. It’s why using your location as a tool when implementing SEO techniques can provide a major help. It can be used as a way to create certain keywords (e.g. Melbourne writing firm) or submitted to localized listings on either Google or Yahoo. This will mean that online browsers in the area will come across your business first with special preference going to those who may live nearby as well as in other parts of the country. In addition to that, location tools such as Google Maps list give preferences to companies who can prove that they operate in a particular area. By placing just simple things such as an address in the contact us section of a page, Google can pick this up and list it on all of Google’s location tools and help solidify your business’ presence in your hometown. One of the biggest draws to any popular website is that it’s easy to use. Rather than using fancy SEO tools to help make a site memorable, it’s the basics that keep traffic levels high on a website. This means that the each page needs to be crisp and clean with all the content and links easy to find within a second or two. This way, browsers can see what the page is about and what products you may sell. Having the page well linked too will also benefit users who may want to make queries and purchases boosting the overall appeal of the company. Of course, it’s also a good idea to utilise more modern SEO content ideas such as videos and infographics which can impress new browsers but these ideas need to keep within the style and topics associated with the company so it doesn’t alienate the regular browsers of the site. If you do not have a website, read more about our website development for clients. There is always an emphasis on keywords in SEO and this couldn’t be more important for a small business. These keywords will identify the main sector that the business deals in so two or three that will cover all aspect of the business. Before any terms are chosen to represent a company online, they need to be well researched to decide which the best phrase to use is. There are thousands o similar terms that could relate to one subject and naturally, some will be a lot more competitive than others and also put a website into potentially different categories Having 2 or 3 terms will also give your firm greater chances of ranking high on search engines and maximising all opportunities of generating business online. One of these terms should be a long tail keyword which will allow your business to use 1 or 2 details about your firm to be ranked on Google e.g computer manufacturers in Cambridge. This will increase the chances of landing a page 1 ranking on a search engine by eliminating substantial competition and still keep high levels of traffic reaching your site. There isn’t a better way to expose a company to a wide audience than through social media. Sites such as Facebook and Twitter are great places to promote a company through just one or two terms especially by tagging them in posts and tweets. By tweaking your profile page on these sites towards these key features, you can use SEO to boost your customer base significantly and take the next step into establishing the firm within the local area. Alongside that, social media sites often let plug-ins be linked directly into a site that has regularly published content online such as blogs and videos which is not only a quick way to directly create a link to social networks but also allows for browsers to promote content to their friends and increasing the amount of traffic to that site. If your business still needs to generate some more traffic to a site, then some social media sites such as Pinterest and LinkedIn are good ways to create incoming links to your site with other related sites and blogs in your area. One of the biggest but simplest ways for a small business to boost their online presence is by setting up their own blog. This means you only need to have basic articles on a chosen topic published every week to help keep visitors coming back to the site on a regular basis. By having regular content published on the site, it can maintain high traffic levels and help solidify a good ranking on an SERP. As blogs get more and more content on the site, it will also ensure a better reputation for your business in a particular subject or niche. This will help the site become a hub for anyone interested in that subject and help boost the number of links coming into your site. Creating a relationship with an SEO is a great way for small businesses to really get to grips with their own content. Communicating with a reputable SEO designer will allow for you to recognise how they can adapt your website thank to using different practices and techniques. By doing this, it will be easy to know what is being done at each separate stage and then give you the chance to see the business grow online and become a major online presence within the local community. But it’s important to be clear about what you want to get from the SEO firm and that they are able to match every single one of you needs. This will not only avoid any delays in getting the site ranked on a search engine but also help your business grow at a pace that suits you and your company. Google is the biggest search engine on the Internet and it is a dream platform for small business to carry out all of their SEO needs. One of the best platforms to use is Google+ which can let you sign a business up and directly link content from your site to Google’s own social network allowing for more viewers to see your site. On top of that, software such as Google Authorship can place all of your business’ content directly onto Google Plus boosting the online credibility and reputation of the company. With all your content now visible on Google, a smart SEO tactic is to get friends and trusted customers to give positive reviews for your business on Google. This way, your site is going to be given a higher value by the search engine and ranked within the first couple of pages on Google. There are always going to be many different ways for companies to grow online and increase their digital presence. SEO can be adopted in many ways and not just focused on search engine rankings. Both social media sites and the mobile markets are developing sectors where there is a huge audience for businesses to be exposed to. By taking advantage of hashtags and more optimized webpages, it can be the perfect place for smaller businesses to get a leg up over bigger rivals and make their name known on all digital platforms. By using SEO techniques wisely, small businesses will be able to establish their own presence online and gain exposure that will boost their online traffic and help generate business both through the web and physical sales. You are using web as a tool to promote and market your products and services and boost online sales by bringing free traffic. By increasing the number of visits to your site, you not only increase the visibility of your site, but also increase business sales. Every business – small or large – owner knows that a good and trusty advertising campaign is the key to amplify their business reputation online, build strong authority in their niche, and bring more traffic. This is where search engine optimization, or SEO, service provider comes in. 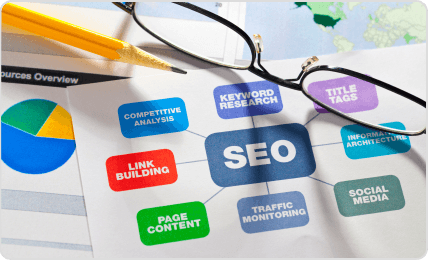 SEO providers are companies who give a traffic and search engine ranking lift for your business site by performing internet marketing campaign for you. Their primary task is to raise your site’s rank in major search engines, like Google, Yahoo, and Bing, so that more visitors, and potential consumers, will be able to find you online when they type certain keyword phrase. Plus, a good SEO provider will also find and code proper keywords most suited for your business that your target audience type in the search engine to find services and products similar to yours. With these proper keywords, you will more likely find the right audience searching for them, and as a result, boost traffic, and hopefully increase online sales. Likewise, SEO supplier also builds links (link building service) between your site and other relevant sites – blogs, forums, and article directories, among others – and improve the content published on it, too. Does Cheap SEO Service Guarantee Quality Work? But as the importance and demand of SEO is rising up, companies offering affordable/cheap SEO services are sprouting like mushroom and this can easily overwhelm inexperienced business owner to hire the “right” ones. As a result, most business owners fall for cheap SEO services thinking that they’ll save few dollars and get the rankings. But doing so usually backfires them because cheap SEO services doesn’t equals to guarantee of high search engine ranking. In fact, hiring a “cheap” SEO service provider can destroy your online reputation, in a matter of minutes. No, we are not saying that discounted SEO doesn’t mean quality work. There are good companies, particularly from third world countries, that offer low-priced SEO services since their cost of living is relatively cheap. Nonetheless, the worthiness of cheap SEO is extremely slim. Finding a good and inexpensive SEO provider will be like finding a needle in a haystack the size of a Jupiter. What’s the Issue of Cost-Effective SEO Provider? Well, besides low quality of work, they will most likely give you SEO campaigns for every project is the same – the same “copy and paste” methods they use with every other client. This should not be the case, though. Each Internet Marketing campaigns must be different and customized for each business needs. If they give you links considered to be spam by Google, a routine check tracks this down, you need to check and remove these low-quality links before they slaps your site – block and shut down your website. Well, that could be devastating both for you and your online business because building up a new website is both laborious and time-consuming. Even though you hire a well-established SEO provider to correct the situation, they still won’t be able to correct the damage that’s already been done to your site. Building a web campaign is both labors intensive and laborious. A SEO firm who performs cheap SEO has to focus their attention to small details to promote your website, building links with other sites. Doing this often takes a lot of time and effort. So if you go for inexpensive path, you will also get low quality SEO results. As a result, you will lose more potential clients who could have increased your business profits. If you are thinking about profits, then you need to choose smartly. So if you are in doubt whether you should buy cheap SEO services, then always look for trustworthy ones. https://getyoursiterank.com/wp-content/uploads/2016/07/SEO-Mistakes.jpg 555 2000 Online Ion https://getyoursiterank.com/wp-content/uploads/2016/09/logo.png Online Ion2013-07-19 16:20:402016-07-02 10:55:06Cheap SEO Services - A Fraud?